Hi everyone, so since being home I've had a bit of a creative splurge if that is the right word, I've made a crop top, turned my jumpsuit into a pair of dungarees and turned a dress into a top and skirt. I've also completed two kimono DIY's! I found this scarf in a charity shop for £2.50 and I loved the pattern and thought how nice it would be to have a kimono for holiday in that print. 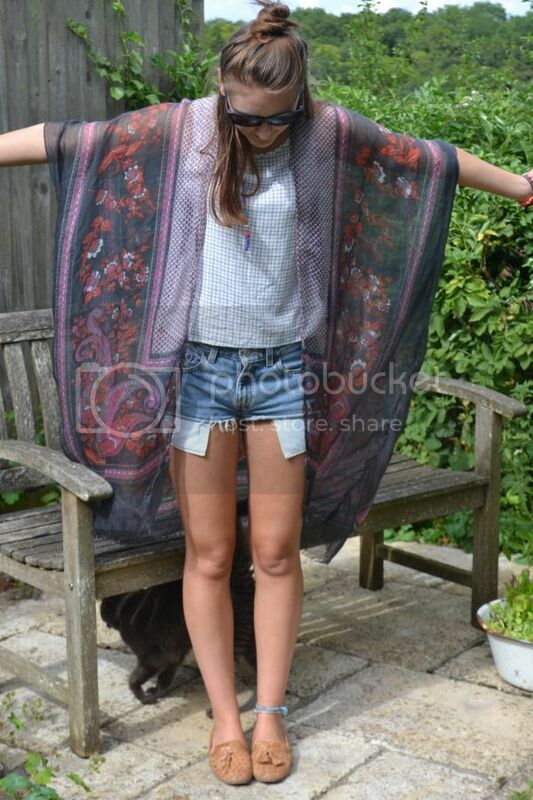 I then worked out how to turn the scarf into a kimono and the end result is above! It is really simple and if you're interested I can do a step by step guide for you to make your own. Wow I love the kimono! Looks amazing with the rest of the outfit! 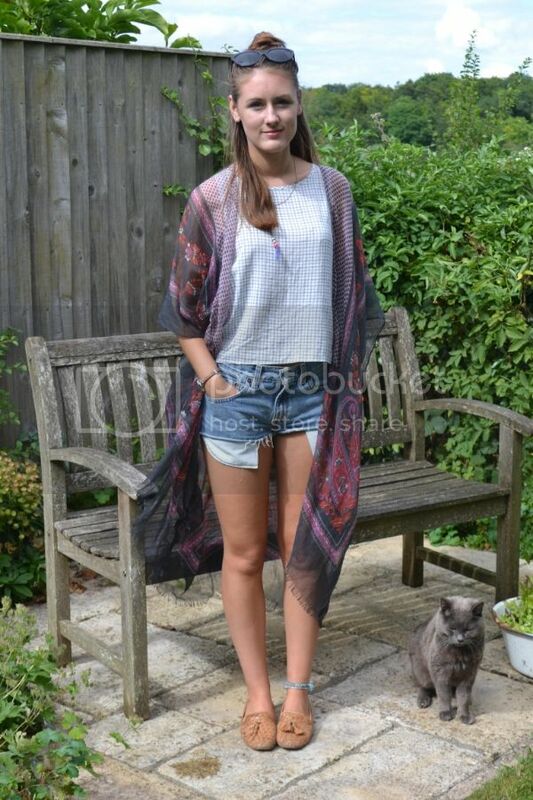 I love turning scarfs into kimonos, it's such a cheap and easy alternative!